WELCOME TO THE ST PATRICK'S DAY BLOG HOP! 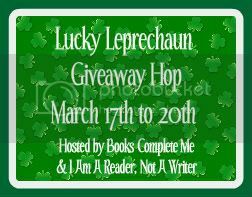 There are so many blogs participating in the Lucky Leprechaun Blog Hop. You will find some nice book related items being given away. There is a linky at the end of this post. After you've entered here, hop on over to the next blog on the list and keep going as long as you'd like! The more you enter, the more likely you are to win. Good luck! $20 gift certificate to buy books. (Amazon.com, Barnes &Noble.com or any other online retailer of your choice that sells books and has a way for me to send you a $20 online gift certificate). If you live Internationally and can't use a US gift certificate. 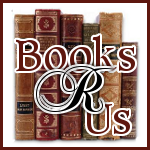 You can purchase a book up to $20.00 at The Book Depository. To enter fill out the form below- No comments will be accepted. Contest ends on 3/20/11 at 11:59pm and winners will be chosen by Random.org by 3/22 and will be notified by email. The winners have 48hrs to respond or a new winner will be chosen.